Summer can be summed up in three little letters…H-O-T. Depending on where you live, the weather temperatures may be in the triple digits! Anything above 90 degrees can almost seem as though it’s unbearable to get outside and enjoy everything that there is to offer. You aren’t alone in those thoughts or feelings…trust me. The hard part is knowing that you can get outdoors and enjoy nature, even when those temps are soaring through the roof. 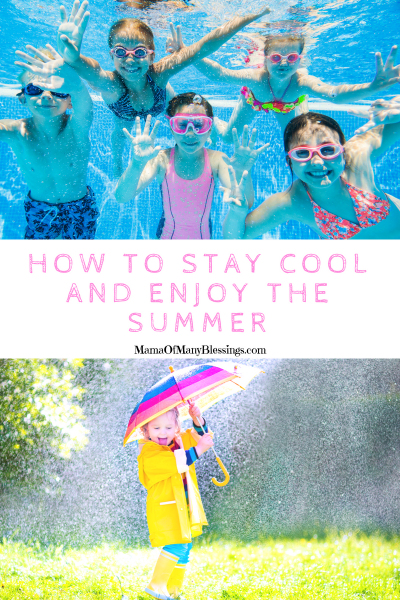 If you are looking for a few fun ways for your kids to stay cool and enjoy being outdoors during the summer months, here are some great suggestions to make it happen! Set up the sprinkler. Or the hose…or anything that will get them wet and keep them cool. 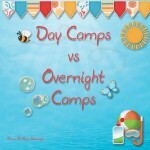 Lather them up with sunscreen and keep them hydrated and let them have fun playing in the water. Have a popsicle party in the backyard. 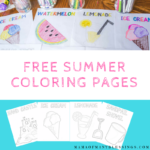 Invite over some of the neighbor kids and hand out the popsicles. 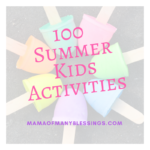 Nothing says summer fun more than running around, enjoying the outdoors while eating popsicles! Buy plenty, they’ll be asking for seconds before they even finished their first! Attend free events at your local library. Some days, that summer sun is just way too hot! When that happens, you have to think outside the box a bit and find other avenues of ways to stay cool for you and your family. Check with your local library to see if they offer any type of programs or events during the daytime hours. It’s the perfect way to socialize, engage and get some great books at the same time. 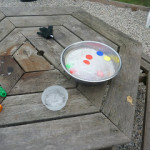 Go outside and play in the evening time rather during the day. Change up your schedule and have the night time be the time of the day that you and your family plan on going outside to explore everything that nature has to offer. As long as you are finding ways to get out and about and explore nature, the time of the day truly doesn’t matter. Set up an outdoor movie! 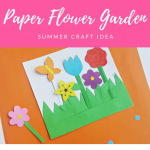 Again, this will have to happen once the sun sets but it’s a great way to spend time outdoors in the warm summer breeze. Don’t forget the popcorn and the snacks! Head to the pool! Sometimes, we all just need to go somewhere else to get cool! 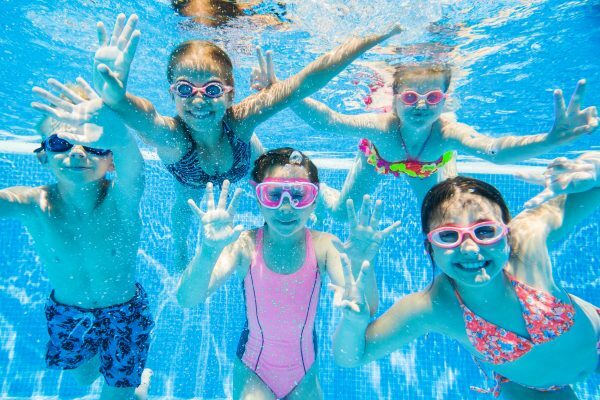 Why not head to the pool and let your kids splash around for a few hours? They will love the cool water and the change of scenery is always nice as well! 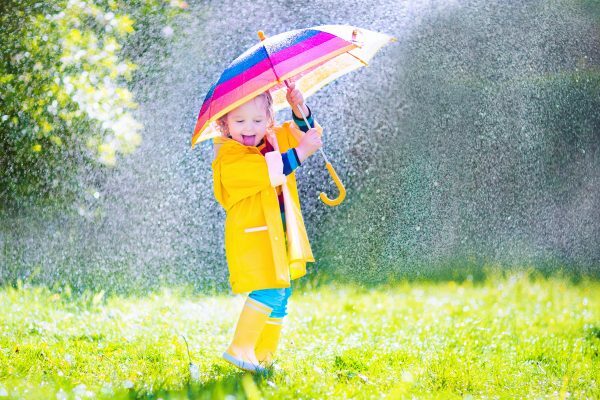 Plan a playdate at a local sprinkler park. 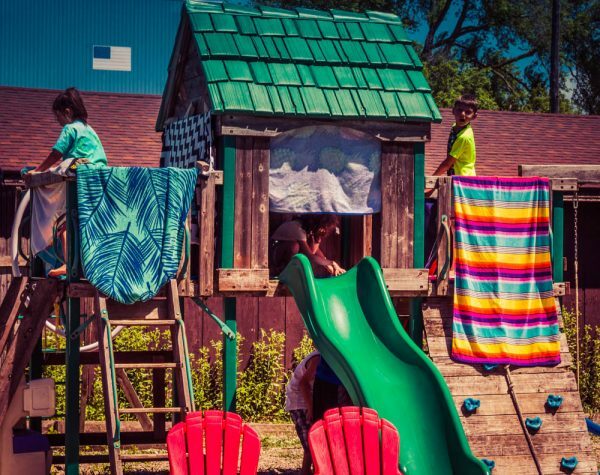 If your town offers the change for your kids to play for free in a sprinkler park, make it happen! Sprinkler parks are fun and free and a great place to meet up with other families for some great playdate memories to happen. 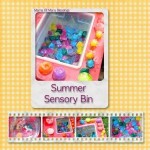 Finding fun ways to get your children outdoors to enjoy summer doesn’t have to be overly hard. 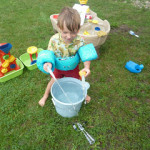 Think about anything dealing with water play, creativity, and learning, and combine them for a fun and unique time. The great part about getting outdoors and enjoying nature is that it can be done in spurts throughout the day! If that summer temp is just feeling a bit too hot, wait it out a while and plan on getting outside when it cools down a little. 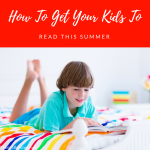 The more that you can make a plan on how to get your kid outdoors while also keeping them cool, the more fun that you all will have as well! Don’t spend the summer inside all the time bc of the heat…find a way to beat the heat to get outside and enjoy being outdoors! 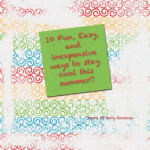 What are some great ideas you use to stay cool and enjoy the summer months? Leave a comment below, I would love to hear from you! 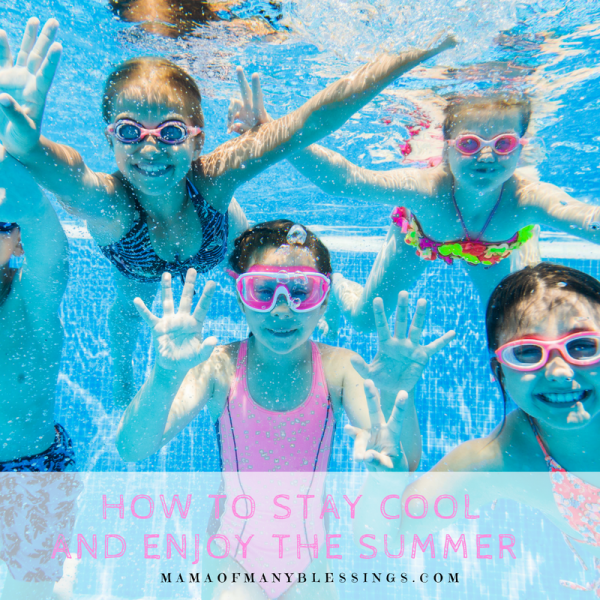 Looking for more great ideas to stay cool and enjoy the summer? 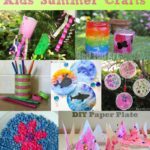 I have a summer Pinterest board with tons of indoor and outdoor ideas that are surely to keep you busy. Head over and check it out! Hi Nicole! 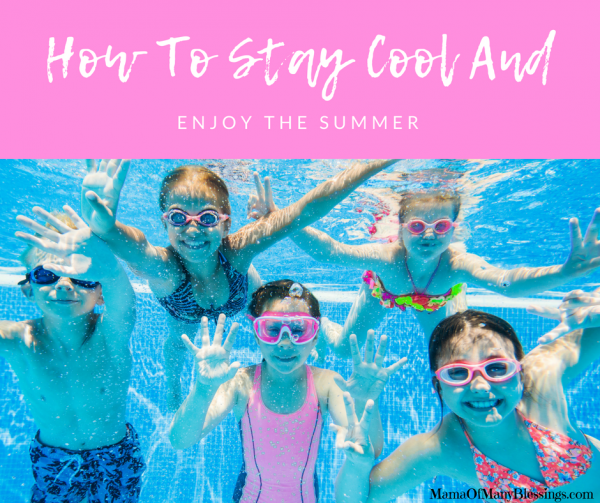 I have chosen your post as one of my “ways to cool off” features for next weeks OVER THE MOON LINK PARTY which goes live on Sunday evening at 5pm Central. Please stop by to see your feature and link up again! Wow, thank you so much for that I really appreciate it. I will head over and check it out! Have a blessed week!